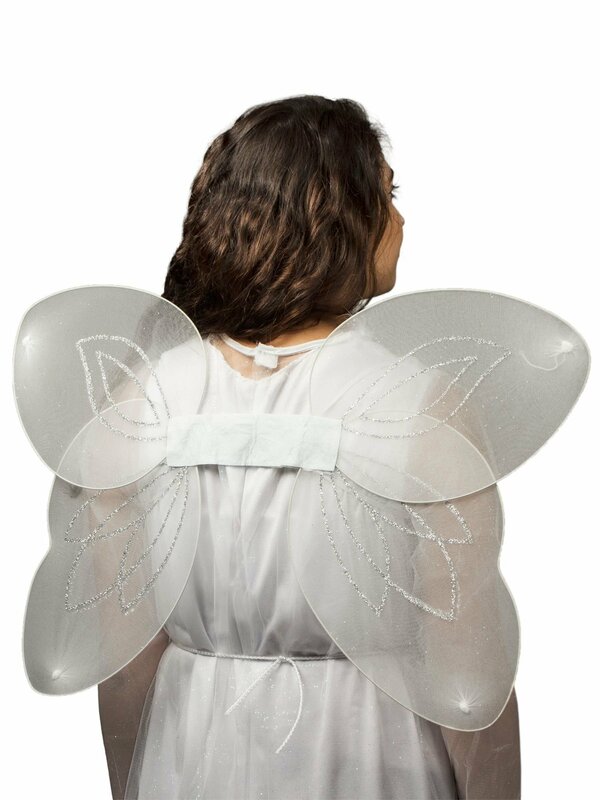 Look like the most graceful cherub with our Floor Length White Angel Wings with Rhinestones. The feather wings come complete with a sparkling cape for an angelic look that is extremely elegant. Enhance any Christmas or Halloween costume with this incredible accessory.